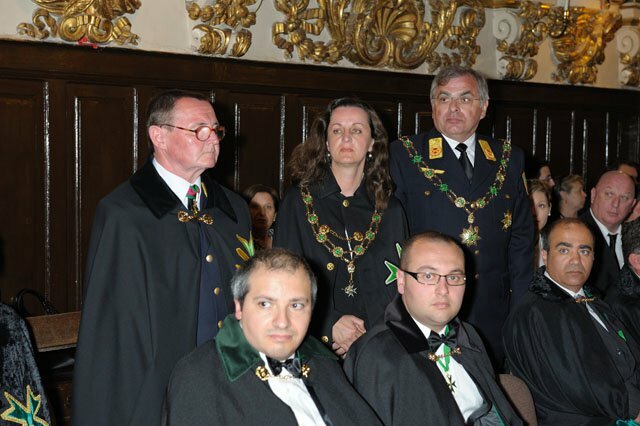 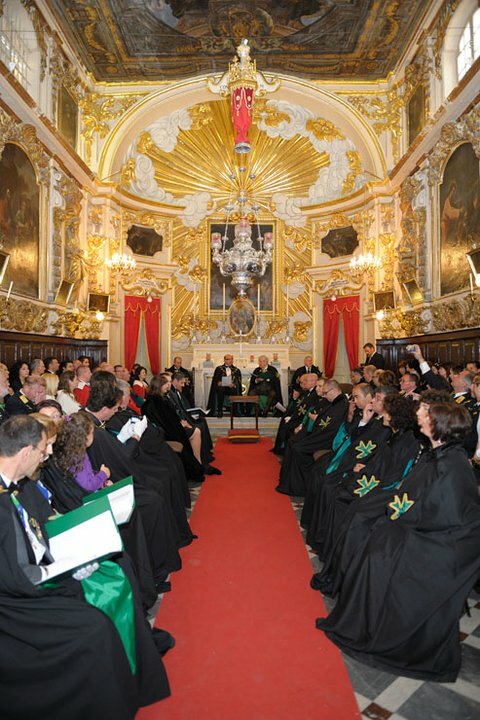 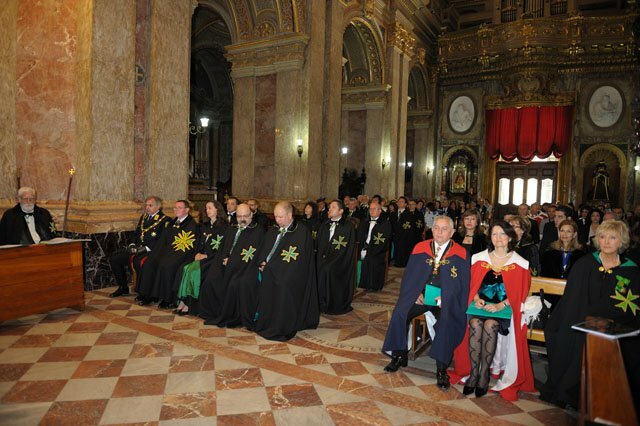 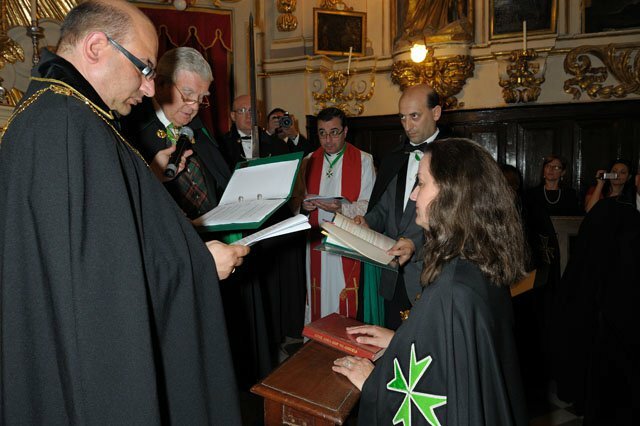 The fifteenth joint investiture of the Grand Priory of Malta and the Grand Priory of Gozo was held at the Basilica of Saint Dominic the Great in Valletta, Malta in May 2011. 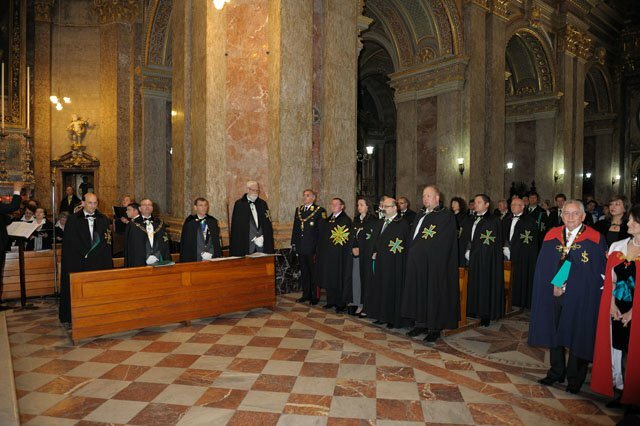 As is the norm for Maltese investitures, the Basilica witnessed yet again a packed congregation of Lazarites and their guests with a number of delegations of the Order from Scotland, Wales, Austria and Hungary being also present for the investiture. 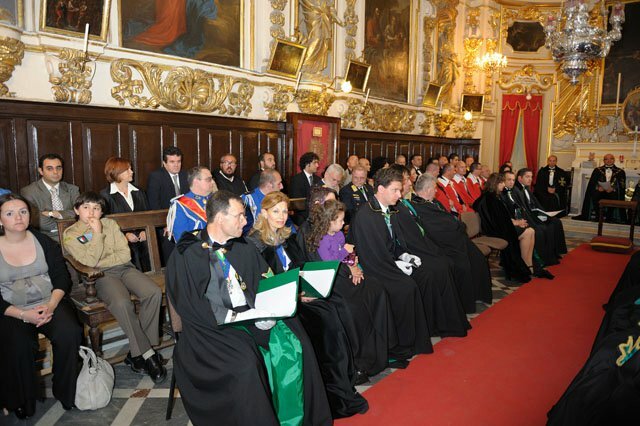 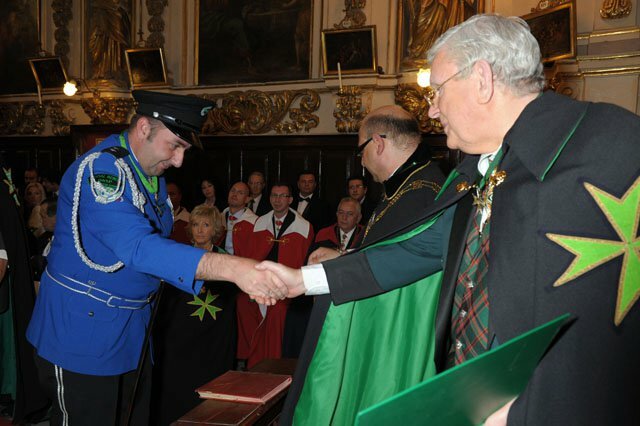 The guest delegations for this investiture also included a delegation from the Malta Memorial District Nurses Association, the Tiny Infants Parents Support Group, the Sovereign Order of Saint John of Jerusalem and the Order of Hungary. 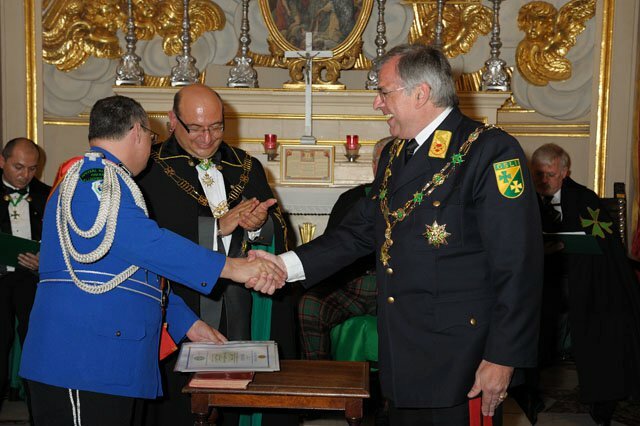 The Grand Priors and Chancellors of the Grand Priory of Austria and Hungary, together with the Commander and officers of the Union Corps San Lazares International were also present. 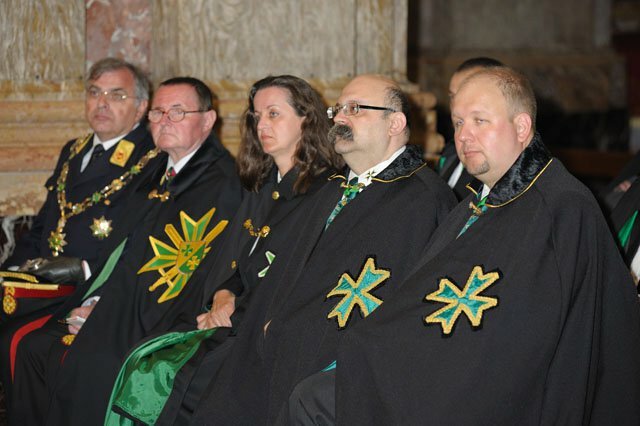 The Supreme Grand Priory was represented by means of its Supreme Grand Prior, H.E. 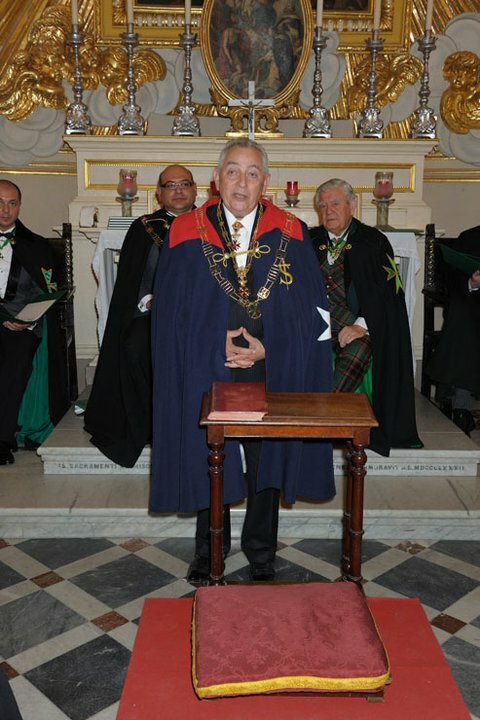 Richard Comyns of Ludston GCLJ GCMLJ, the Grand Chancellor Chevalier Massimo Ellul GCLJ GCMLJ and the Grand Secretary, Chevalier Robin Slack KLJ KMLJ. 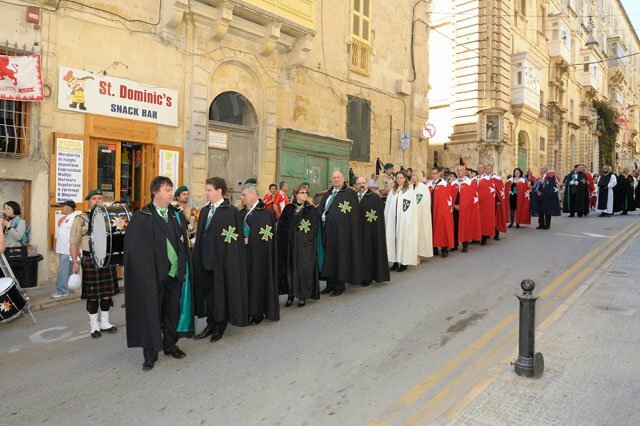 The celebration of Mass was conducted by the Grand Prior of Malta, the Very Rev. 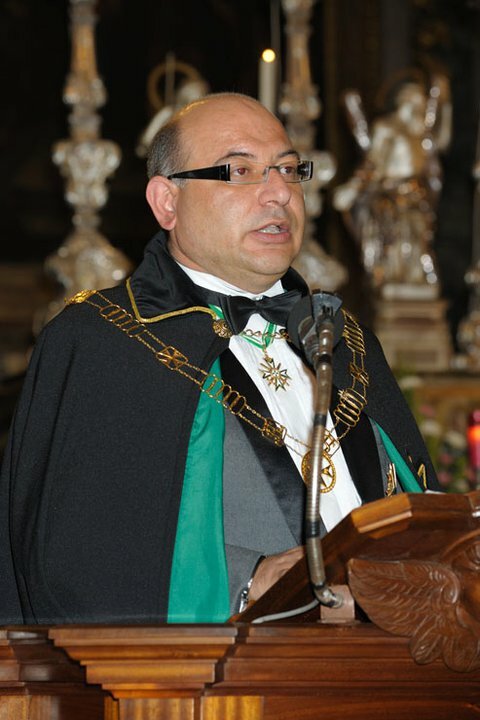 Monsignor Joseph vella Gauci SChLJ. 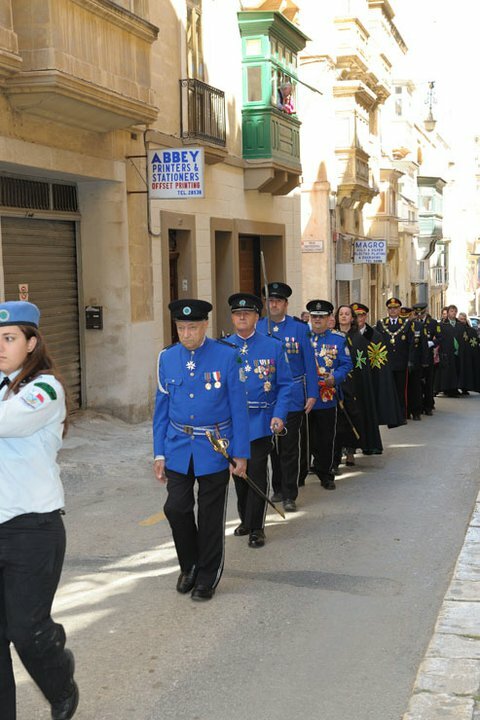 The investiture started with a display by the Marsa Scout Group and the blessing of the banners and the insignia. 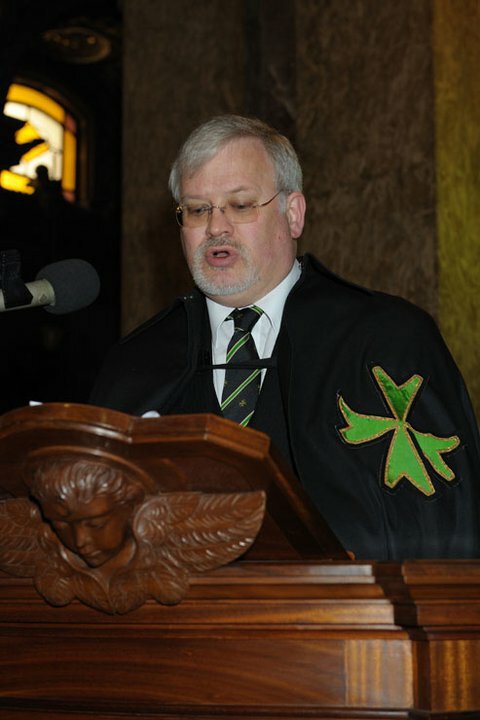 During this investiture, the head of the Order’s delegation to Wales, Confrere Dyn Parry MLJ, was admitted into the Order and given his credentials by the Supreme Grand Priory. 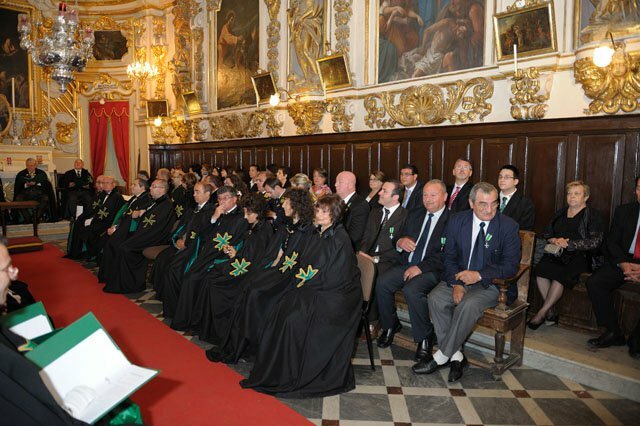 The Commander of the various Commanderies under the Grand Priory of Malta and the Grand Priory of Gozo then started introducing their postulants for admittance into the Order. 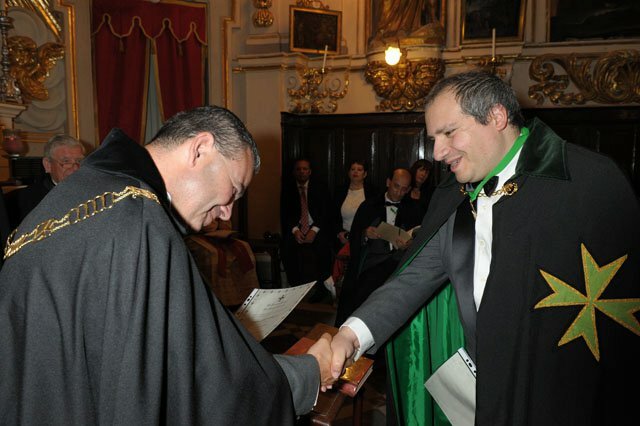 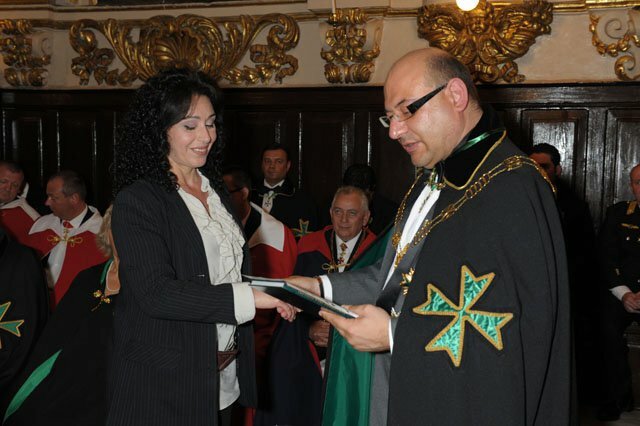 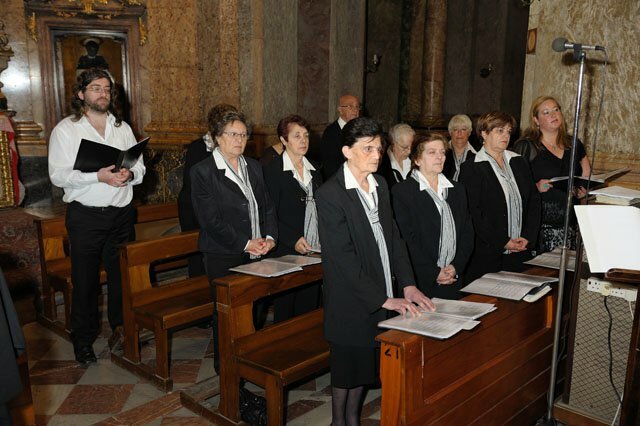 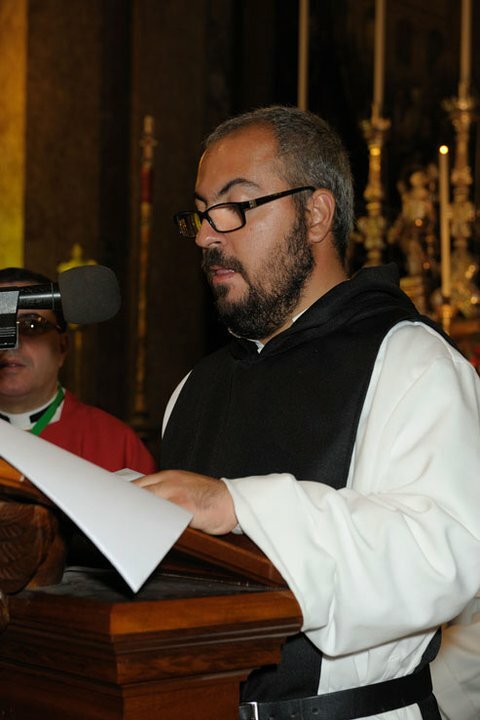 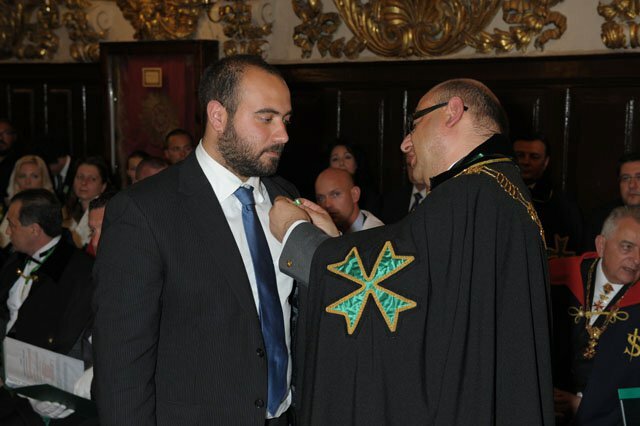 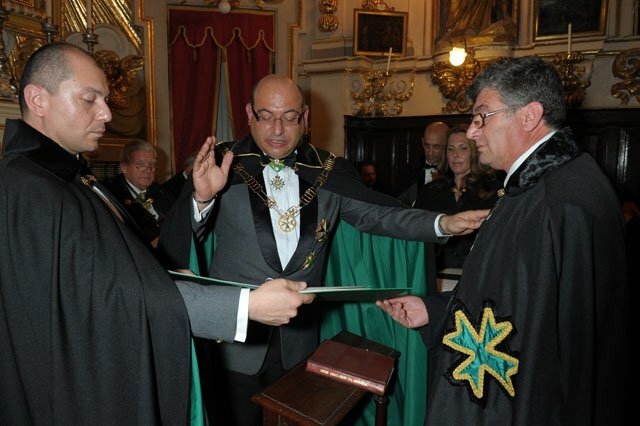 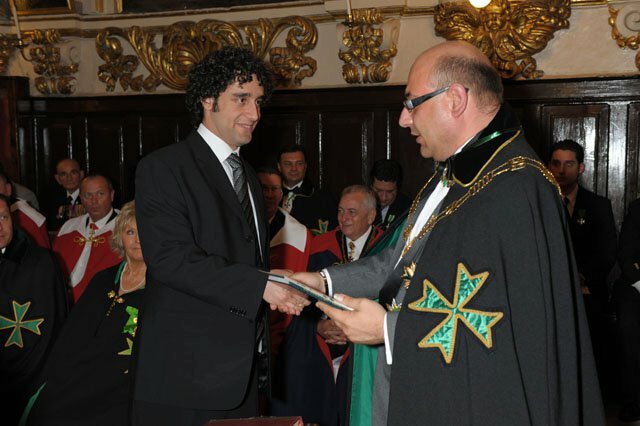 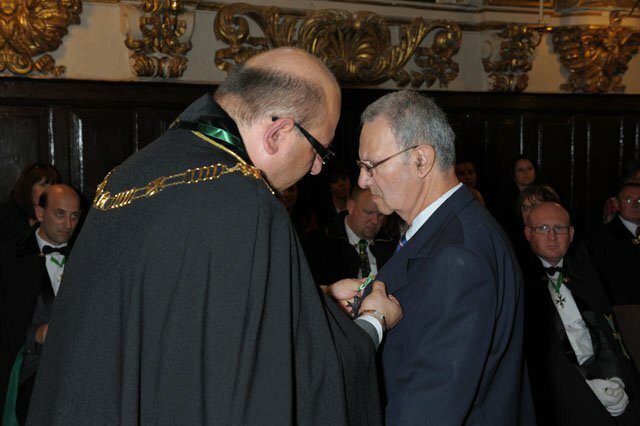 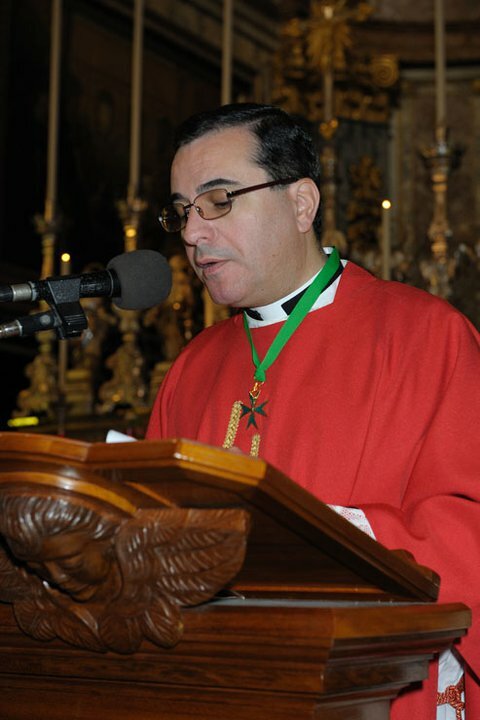 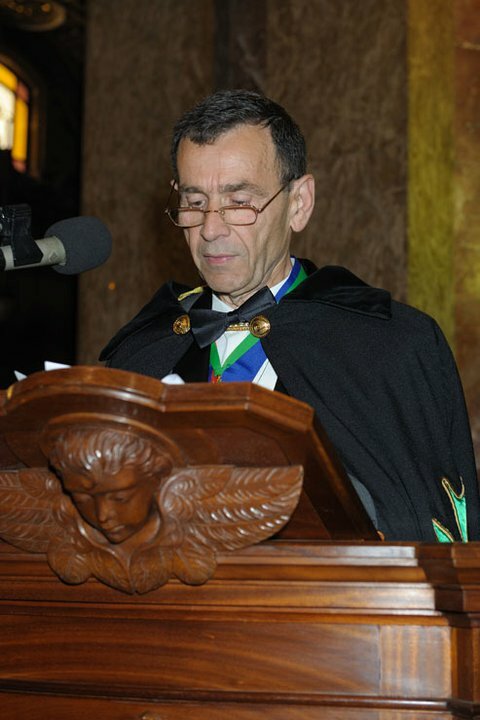 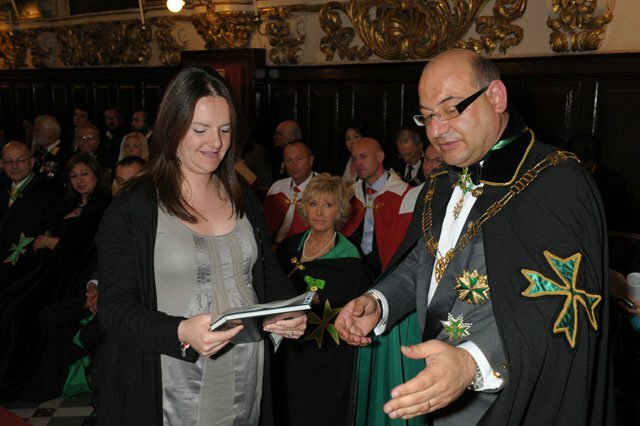 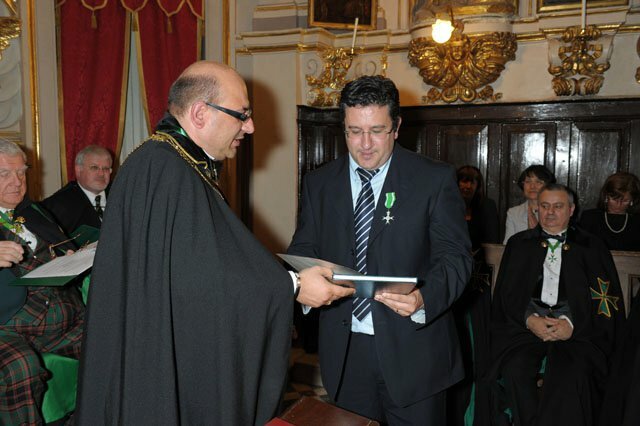 During this investiture, a total of seventeen new postulants and three promotions were executed by the Investing Officers, including Confrere Francis Debono OMLJ, the Mayor of Marsa, who joins the ranks of the ever-increasing list of Maltese and Gozitan mayors who are active members of the Order. 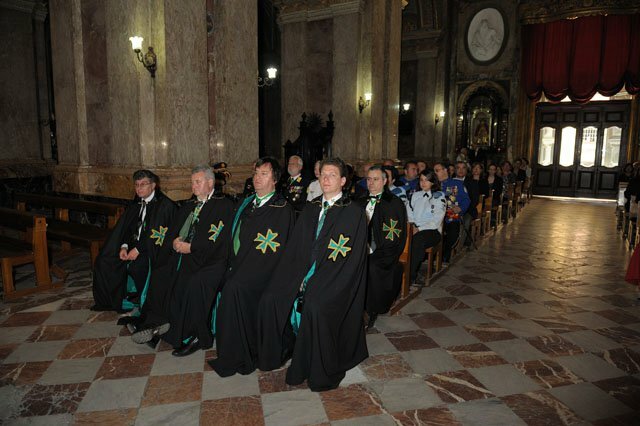 Of particular interest in this investiture was the admittance into the Order of two Hungarian postulants who were part of the delegation from Hungary led by the Grand Prior of Hungary. 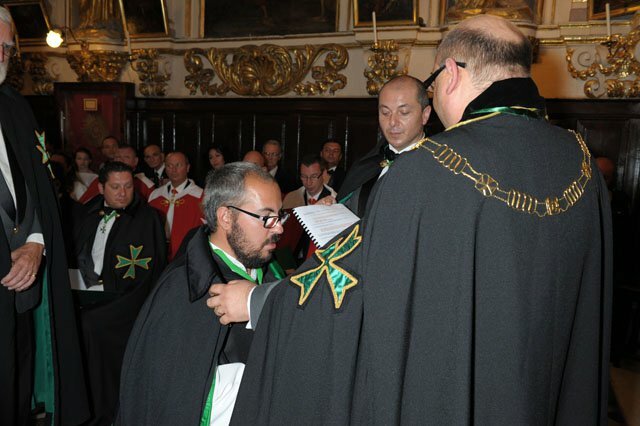 Confrere Teglas Sandor CLJ was introduced to the congregation by the Chancellor of the Hungarian Grand Priory, Chevalier Zoltan Hosso KLJ CMLJ. 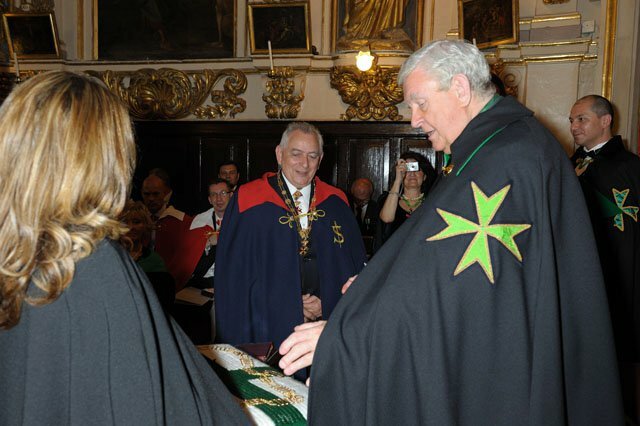 Later, Dame Anna Popper, the wife of the Lieutenant General of the Sovereign Order of Saint John of Jerusalem was also admitted into the Order. 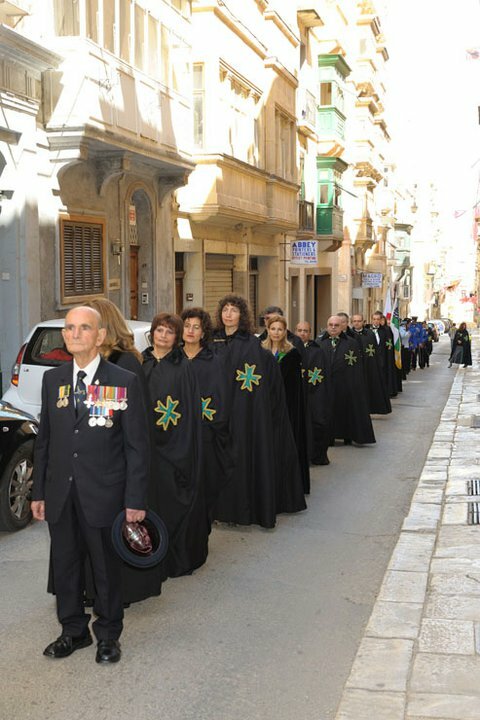 This investuture also included a substantial delegation from the Saint Lazarus Special Rescue Group, led by its Field Marshal, Confrere David Zammit. 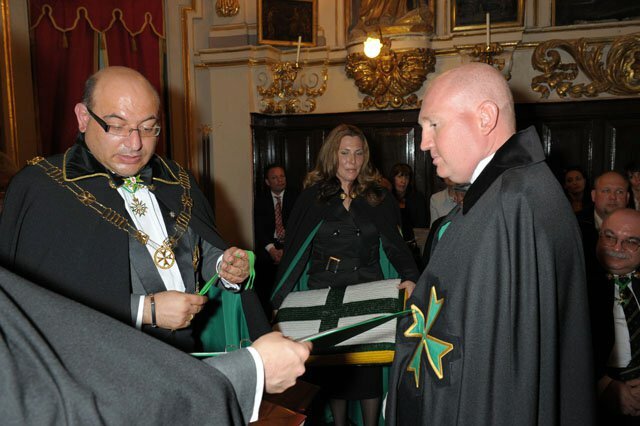 The Grand Priory of Malta announced in open session the alliance struck between its Saint Lazarus Foundation and this dedicated team, both carrying the Lazarite banner in Malta, and thus ensuring even greater Hospitaller coordination throughout the islands by this meaningful alliance. 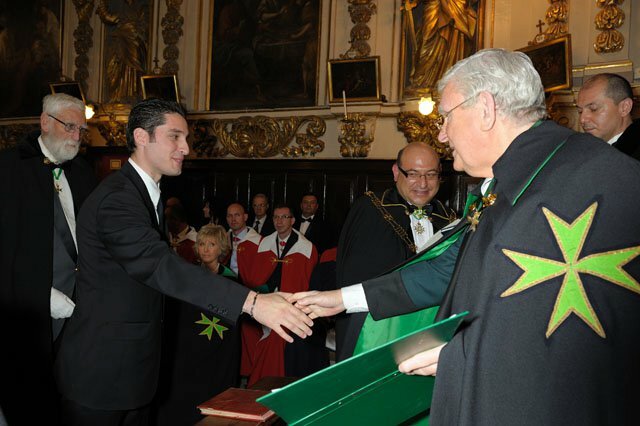 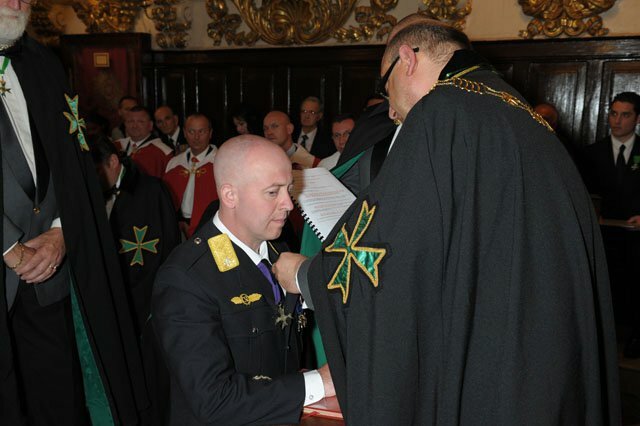 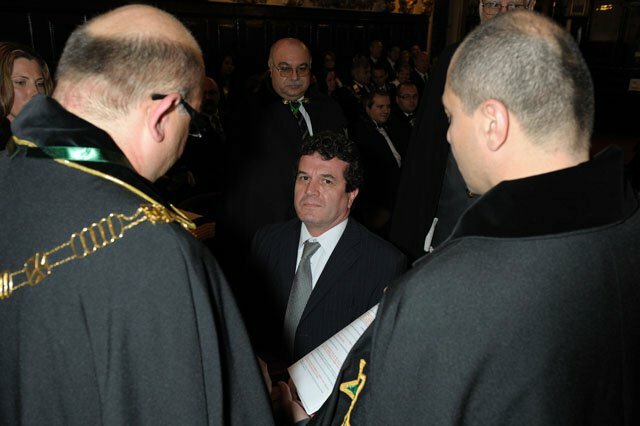 During the investiture itself, David Zammit’s aide de camp, Confrere Albert Falzon, was also admitted into the Order. 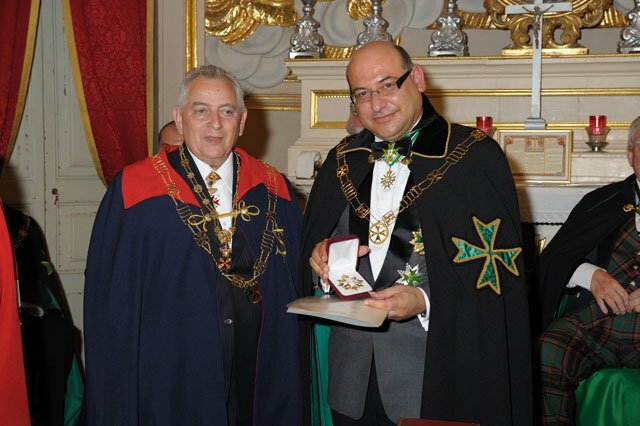 Of particular note was the admittance into the Order of Benedictine Brother Mario Clayton Camilleri ChLJ, who was also given his brevet as the new Chaplain of the Grand Priory of Malta. 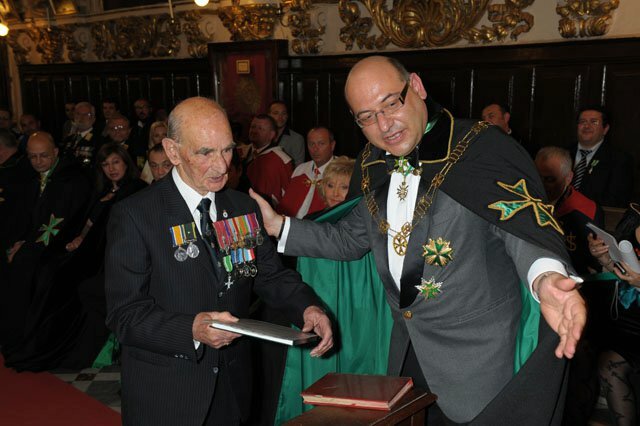 The investiture also including the investing of the Order’s oldest Confrere, 92 year old Major Carmel D’Anastasi MBE OMLJ, who joined his son and grandson into the rolls of the Order. 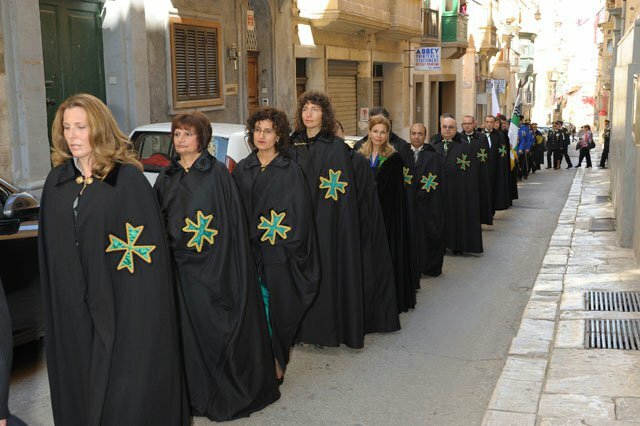 The investiture was indeed a fine show of force for our Maltese Lazarites, who in these nine years have established themselves as by far the largest and most active Lazarite operation within the islands of Malta. 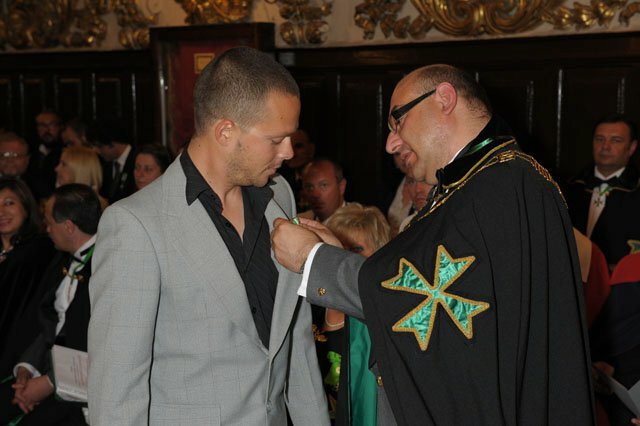 After the investiture, an investiture luncheon was held at the Grand Hotel Excelsior. 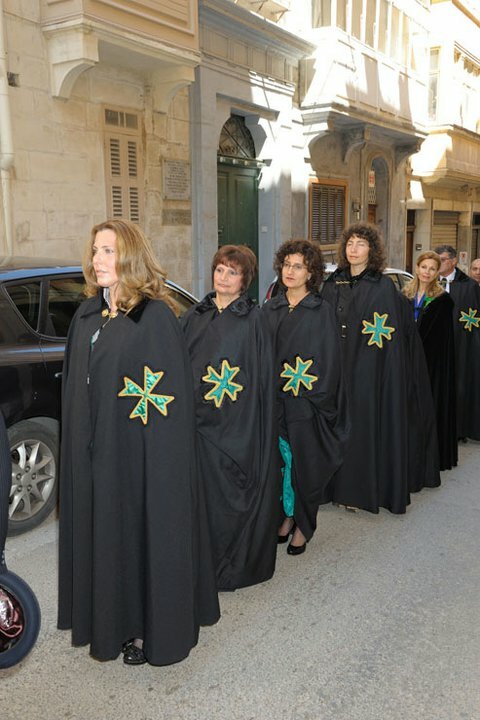 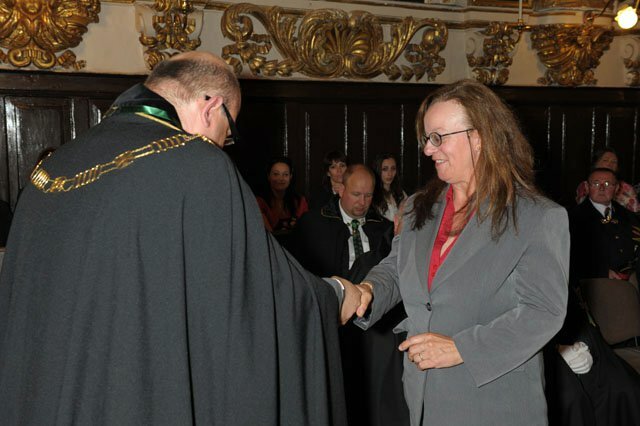 It was indeed another successful investiture in sunny Malta. 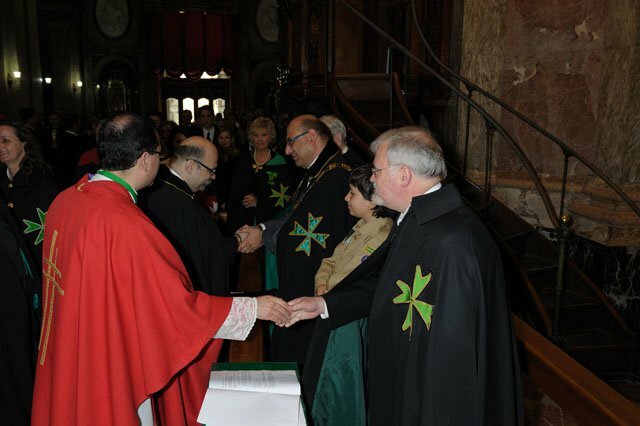 Congratulations to our Lazarite team there.